بني في , Bella Vista Motel هو ميزة مُضافة لـ جرايماوث و خيار ذكي للمسافرين. يمكن من هنا للضيوف الاستمتاع بسهولة الوصول إلى كل ما تقدمه هذه المدينة النابضة بالحياة. كما يمكن الوصول بسهولة إلى مونتيث بروينج كو, جريمته هوسبيتل, مطار جريماوث. إن حسن الضيافة والخدمات الراقية التي تعرف بها Bella Vista Accommodation تغني تجربتك في Bella Vista Motel. لضمان راحة ضيوفه، يقدم الفندق الخدمات التالية: واي فاي مجاني في جميع الغرف, تأجير واي فاي محمول, مجهز لذوي الإحتياجات الخاصة, مرافق مخصصة لذوي الاحتياجات الخاصة, صف السيارات . يمكن للنزلاء الاختيار من ضمن مجموعة من الغرف المصممة بعناية لتعكس جواً من الراحة، والتي يتجاوز عددها 18. يقدم الفندق مجموعة رائعة من الخدمات كمثل حديقة، لجعل إقامتك تجربة لا تنسى. استمتع بخدمات لا يعلى عليها وعنوان ذو اعتبار في Bella Vista Motel . Lovely stay and very approachable staff. Thanks Gloria, we really appreciate your fantastic review! Location is great, facilities in room is good too with great heater and nice jaccuzi bath when its so cold outside. Overall gd stay! Thanks Jasmine, we really appreciate your great review and hope to see you again some day! We were given two rooms downstairs and two upstairs. We arrived in rain and had to carry luggages upstairs in the rain. Very friendly and helpful staff. 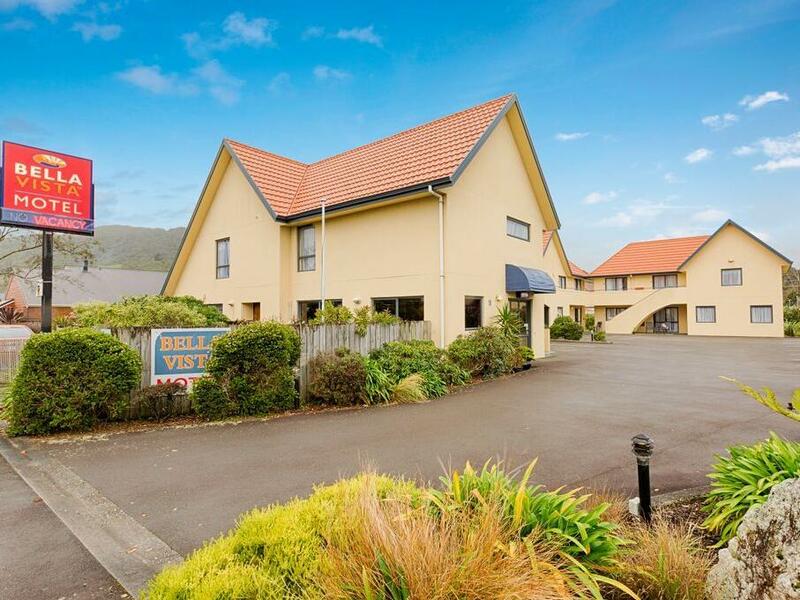 Well located with Monteiths Brewery 500 metres away and handy to other Greymouth ammentities. Very clean and well maintained. Friendly management and staff. Clean and well presented room. Stayed at two bedroom apartment(double and two singles). Spa bathtub, clean kitchen facility, free milk, rice-cooker, two tv, and a door to adjoining another room if required. The beautiful Nic at reception is so friendly and compassionate to our problems. Enjoyed our stay and hope other Bella Vista motel is as good. We'll definitely stay here again next time we're at this part of the country. Good place to stay. Laundry close at 9 pm. Simple but all you need for a break. Room is clean and bed comfortable. Greymouth town is rather quiet; don't expect much nightlife. We were very happy with this motel. Suited our needs well and staff were good. Would stay again. In spite of the saggy bed, we enjoyed our stay. three couples diverted due to earthquake in November. Greymouth not our cup of tea but hotel was fine. Restaurant nearby was good. Only one night stay on way to Nelson. Location good, easy to find but room small/cramped. Bathroom satisfactory with good shower. would stay again, hard to find nice places on the coast. Our expectations were met and we had no problems. Located beside the main road, very easy to find.The room is clean and cosy. and the staff is very nice and patience to help.